I’ve been playing Mortal Kombat X since late last night and I don’t want to stop. Honestly, I’m a little annoyed that I have to stop playing NetherRealm’s newest installment of the long-lived martial-arts series to actually write about it. Whether it’s been in the snarkily self-aware Story Mode or playing against another human online, MKX so far feels like a guilty pleasure without the guilt. The established formula’s still there but you can feel its evolution as you play, with enough secret ingredients to make you compulsively keep fighting despite your body’s pleas for rest. Warning: Mild spoiler stories follow. Around 9 A.M. this morning, I played my Kotaku colleague Mike Fahey in a few quick online multiplayer matches. We faced off in the PS4 version of the game and, as far as speed and stability go, things were pretty smooth. It’s not even been 24 hours since the game’s been out so it might be too soon to award MKX any hosannas as far as online. But I noted only one significant instance of lag. You can see the matches we played, courtesy of the Match Archive feature that’s built into the game. Test Your Luck is a returning feature from the 2011 Mortal Kombat. Like last time, it spits out a bunch of modifiers that affect various aspects of the game differently. So, you’ll get a restrictions like No Throwing or a variable like Hyper Kombat, which makes things super-fast. It’s a welcome return that can keep you play in freshly mixed-up ways when other people or internet connectivity let you down. I’m only up to Chapter 5 of MKX’s Story Mode but I’ve already got favorites from the new characters. At first, I thought I was not going to like Kung Jin, the archer who’s the son of Shaolin warrior monk Kung Lao. His intro is all swagger and smart-mouth and I was prepared to hate on him the same way I do on X-Men character Gambit. But you can see that he’s more than just a smooth-talking thief. His moveset favors the style I tend to enjoy most when playing fighting games: quick strikes with options for keeping opponents away. I’m nowhere near done exploring what Mortal Kombat X has to offer in single-player or multiplayer modes. But, unless it screws things up pretty badly later on in Story Mode or with really server problems, I can tell it’s the kind of game that I’m going to be obsessed with. 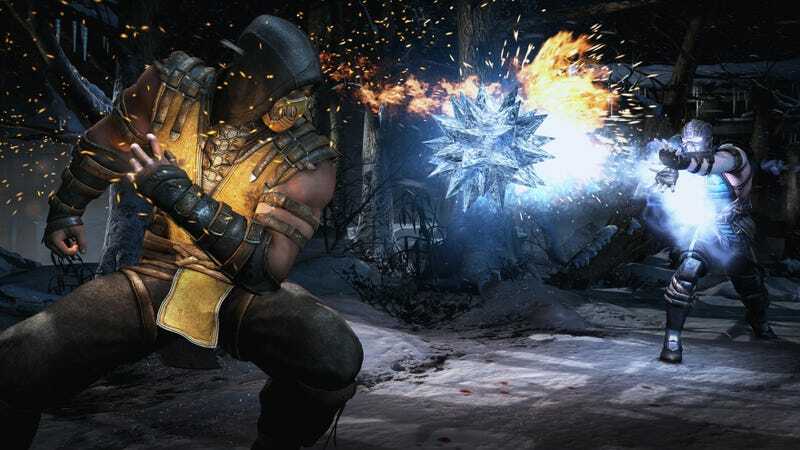 We’ll have more on Mortal Kombat X as the week unfolds.